In early 2014, it is predicted that Libra zodiac sign people will need to work hard to gain success and prosperity while under a great deal of pressure and stress. Once you reach mid-year you will find time for family and other people. Your money situation will be much the same. 2014 is the not the year when you might meet your true love. 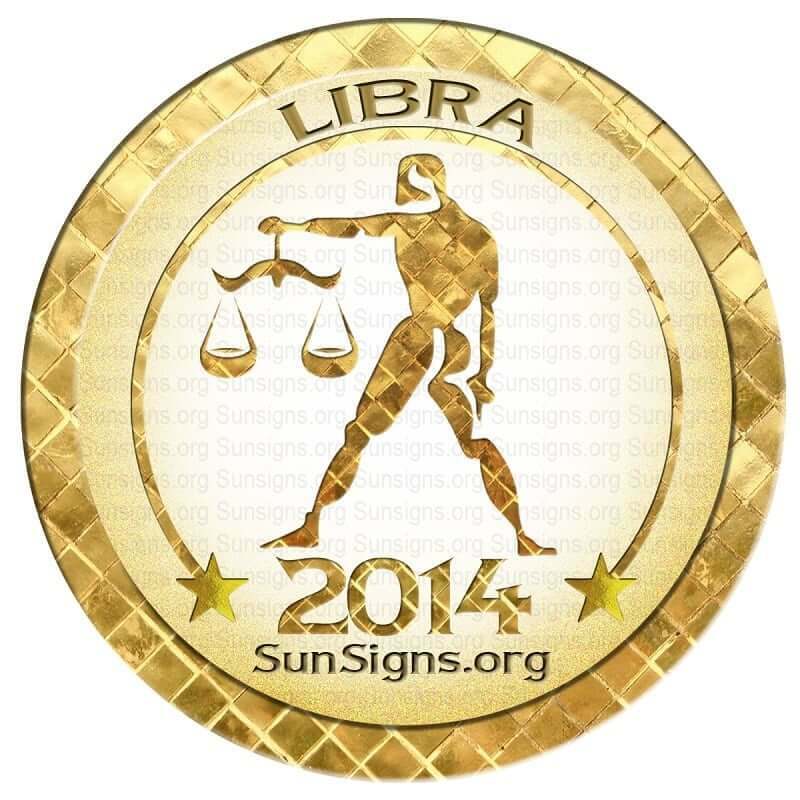 Libra 2014 horoscope does not predict a long term love connection.This is a year for light romances, not enduring love. Quiet, good times with friends fit into your life after the middle of July. The earlier part of the year has been a period of unending work for the Librans. July 24, is a time to be with friends. Old acquaintances may come back into your life. It is predicted that you may take a journey with people close to you on September 25. You have since June of 2013, at the time Jupiter arrived in your career area, been carefully observed. Many tasks have kept your employer occupied. Your duties have changed and the job has a different name, yet the work has gone on. To reach the promotion you desire, or to become an entrepreneur you must make everything work. January 1, 2014 may be the time to begin a new venture. Your work ethic will be recognized and there will be both triumphs and benefits for you. Indeed there could be something quite unexpected on the job front. A day that will be in your thoughts forever is April 18th and June 18th. Saturn will be in your house of income through December 2014. So your money matters will be unchanged. Debt is going to bite you Libra, and the reasons for saving become very clear. Budgeting will be a new but needed skill, and you may need to take on additional work. The finance horoscope predictions for Libra show that in 2014, though money will be tight, and what has come in has been in small amounts the pain has not ended quite yet. It would be wise for you to continue being frugal, reusing where you can and stretching every coin you get. Keep your spending minimal. During the period March to July you will be earning even less through work. Late July may make you feel rich as your income increases once again. Learn that budgeting is a necessary tool, a guide to what your real needs are and what is extra in your life. Hold on to some of your new riches. Do not allow stress to damage your health. Let the unimportant things go. However, if you are being treated unfairly, let Mars our warrior aspect allow you to speak up and create a fuss. You may truly need to speak out forecasts your health horoscope for 2014. And when Mars is retrograde, from late March to May you will want to keep your tongue behind your teeth. January is the right time to build relationships rather than concentrating on your career. February will be an exciting month for the Librans with a lot of partying. Mercury retrograde in March will create havoc with work and travel. April 2014 is the right time to start thinking about your career. May will be important for relationships, love, children, education and travel. June will be a busy month for work. Finances will be tight. July end will prove to be fruitful for you. Relax till then and take things lightly. August will be an optimistic and positive month. Foreign travel is on the cards. September will see an increase in emotional harmony. Health will be excellent. All your personal and professional desires will be fulfilled in October 2014. November will see an increase in your self confidence. Use it wisely. December is the month to strengthen your mind, body and soul. Next What Is Paka Lagna?